Typically, if a garden light is called a downlight it will be for fixed downlighting, i.e. without lateral adjustment. 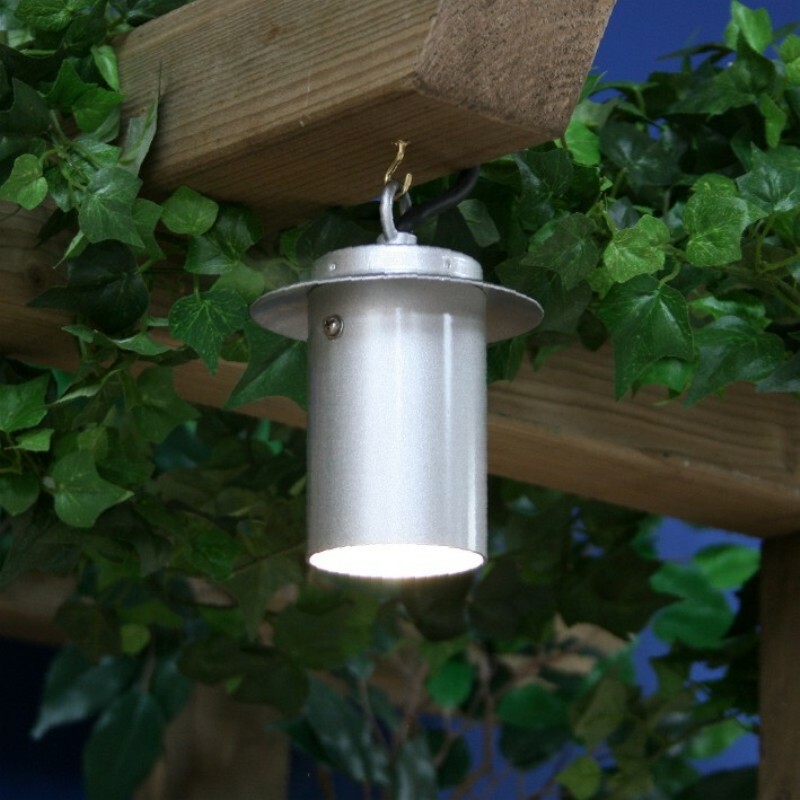 Hanging downlights are usually intended for suspension from a wall bracket or hook on a pergola beam or in a gazebo. They can also be strapped to tree branches with elasticated straps or hung from tree branches with chain. All hanging downlights are 12v. All Elipta's hanging downlights take MR16 LED lamps which provide the widest beam angle – 60 degrees - and can be fitted with clip-on filters if preferred. 3w is usually bright enough over a table when hanging from an overhead beam. 5w may be preferred from higher positions such as the apex of a gazebo roof. While downlighting from pergola beams is often achieved using fixed downlights or adjustable spotlights on the side of the beam where they are visually less intrusive, hanging downlights below the beam can be positioned to light down through climbers growing across the beam which might obscure spotlights installed on the side. PERGOLIGHT hanging downlights are available in natural copper and silver finishes. MOONRAY decorative downlights with perforated barrels provide pinpricks of lights through the side to complement a downward beam which can pick out a planted urn below or flowering climber below - they are also a fun way to mark the entrance to a pergola walkway or to flank an archway.